Our Vision Inspire Westcoast Design. 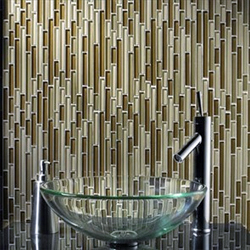 Our Mission To offer a collection of sustainable tiles that inspire great design. We will be innovative, provide extraordinary service, and be the most knowledgeable team in our industry. Our Values Customer Service - We develop our systems, products and services to anticipate and fulfill the needs of our customers. Ethics - We actively do what is right in all circumstances, knowing that others may not respond in kind, while respecting the distinct values of those around us. Excellence - We strive to set the highest standards of personal, professional and collective bests, as seen through our products, knowledge and service. Respect - We trust, appreciate and accept the unique knowledge, needs and opinions of our customers, coworkers and business partners. Teamwork - We respect and encourage the voice of each individual, through honest communication, trust and compromise, in order to achieve a common goal.